Exploring poetry in your homeschool? Here's an easy poem to write for kids; a great first introduction to poetry for kids! This months Poppins Book Nook theme was Poetry and I decided to revisit an activity we have done in the past. We read Dr. Seuss's My Many Colored Days and wrote a simple color poem. 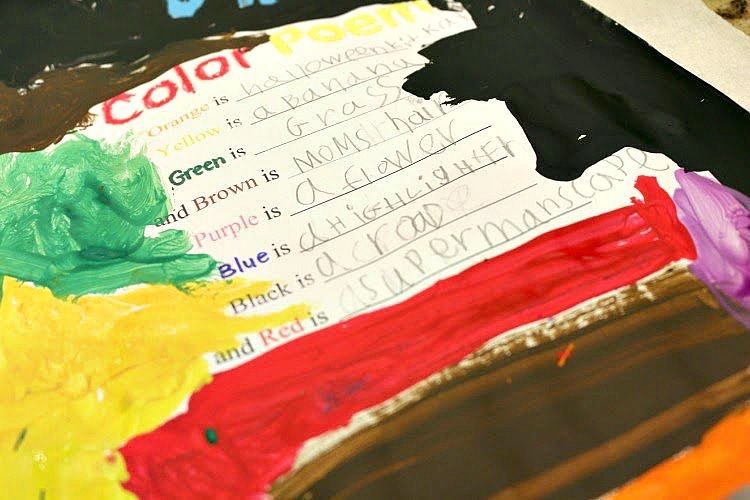 To explore this month's theme of poetry with our chosen book, I made a Color Poem template and then worked through the poem with my 7 year old son. There is no right or wrong way to complete this poem, however I did encourage my son to think of specific things that were such colors. It would be easy to simply write "Orange is a table, pencil, shirt.. etc," so I helped him brainstorm different things that were color specific. 2. What does Red remind you of? 3. How do you feel when you see yellow? This activity could be used to explore emotions, too just like the book! The main thing to remember that poetry is all about the experience/ reality of the writer! 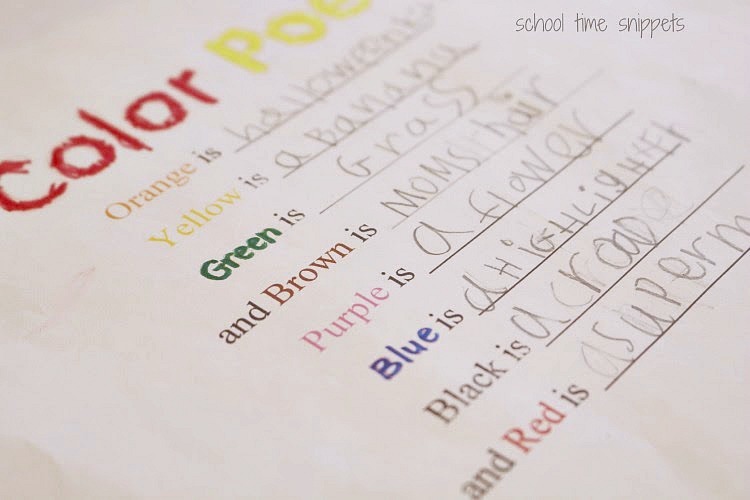 Once my son completed his poem, I envisioned him using the different colors to paint a picture around his poem. And take some time to see how the other co-hosts of the Poppins Book Nook chose to explore this month's theme: Poetry!